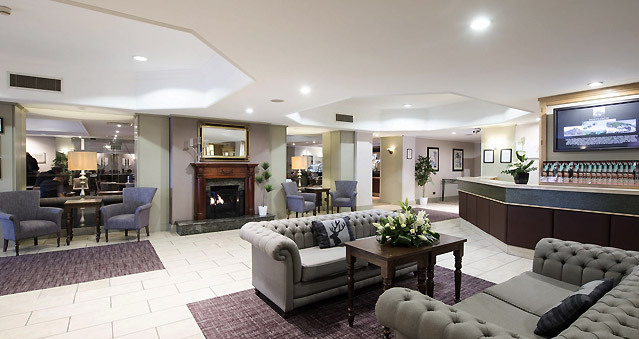 The Derbyshire Hotel, conveniently located just off junction 28 of the M1 is without doubt one of the leading conference venues and hotels in the Derbyshire area. Having recently undergone a half a million pounds investment, the Derbyshire Hotel is home to some of the most sought-after Derbyshire meeting rooms. Boasting a complete Derby conference centre, the hotel offers a range of 14 modern and contemporary suites perfect for your next meeting or event. Ideal for: Scotland Yard Rookie, GPS Treasure Hunts, CSI Experiences, Around the World, Real Life Clu D’oo, Murder Mysteries, Conferences and more!